The left lost the economic battle when the Berlin wall came down. No-one after that could take socialism seriously as a way of running an economy. Given the chance people living in a socialist society will vote with their feet. Of course there are those who are either too young or too stuck in their ways to learn this lesson. But there are not enough of them. Hard line socialists like Jeremy Corbyn and friends exist, but unless something odd happens they are not going to be running anything any time soon. Of course odd things are happening in politics at the moment, but let us at least hope that Europe has seen the end of Marxist economics. The left however has been fighting a different battle for the past fifty years or so. 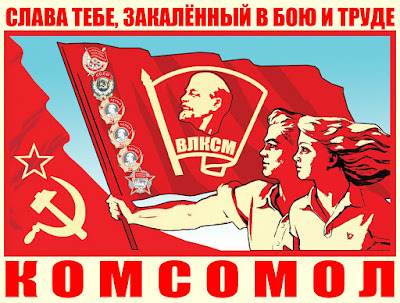 They have stepped up this battle since communism ceased to be a serious option. Moderate people on the left realised that capitalism was the only game in town and so they tried to modify it and make it fairer. But capitalism works precisely because it is not socialism. Adding socialistic ideas to capitalism doesn’t improve it, because the driving force of capitalism is the incentive provided by inequality. Take away the incentive and you take away the growth. This is why in the end voting for Labour always makes people poorer. Free markets are the way to bring people out of poverty. They have brought more people out of poverty than all the socialists put together. I think some people on the Left began to realise this too. So they put their energy into other causes. The Left in this way ceased to be about economics at all. The real battle hasn’t been going on in parliaments, it’s been going on in universities and in newspapers and on television. There has been an attempt by the Left over the past fifty years to change how people think and then to enforce that change. The left always depends on changing human nature, but this can only be done by force and re-education. This is the case with all cultural revolutions, not just those that occur in China. Sometime in the 1990s I was at a conference reading a paper. I used standard English grammar and used the word “He” to stand for non-gender specific persons. Suddenly I found some American vehemently objecting not to the subject of my paper but to my using the word “He”. I told him that I found the alternatives ungrammatical and he walked out of the room muttering something about prejudice. At this point the way I studied and wrote was quite traditional. The subjects that I was interested in, philosophy, theology and Russian literature were still studied more or less how they had been fifty years previously. Politics didn’t really enter into the discussion. But gradually, year by year, more and more this began to change. Soon new ways of looking at the subjects that I studied became obligatory. Some people thought we should write from the perspective of feminism. Others considered that a post-colonial perspective was more essential. Others still used queer theory. It might have been interesting to read one or two books from such perspectives, but soon nearly everything had to be written from a political perspective. The trouble was that this perspective was always from the Left and you were not allowed to disagree with it. Anyone who questioned the central tenets of feminism, queer theory, post-colonialism and any of the other ideas that came to us from the United States, rapidly found themselves in difficulty. This has been the method that the Left has used culturally in the past decades. If you disagree with them you end up finding it difficult to get published. You may find yourself out of a job too. If you are a student, you may find yourself failing a course unless you stick to the party line. Try writing a paper that questions any of the central dogmas of feminism in your women’s studies course and you will find out what it felt like to be Galileo when he questioned Catholic astronomy. Try writing about sociology from a Conservative, Christian existentialist point of view and you will find that this is not a subject but rather a branch of agitprop. The whole point of saying that something is politically correct is to say that something else is incorrect. There is no debate. To argue is to be denounced. This is the essence of totalitarianism. The Komsomol also found some things politically correct and other things incorrect. If it was incorrect enough you might find yourself in the Gulag. Here we have a different sort of Labour camp, but it still involves denunciation and nudges to retrain the masses how to think and feel. It all started out harmlessly enough. Let’s try to get people to stop saying “Fireman” and use “Firefighter” instead. Where’s the harm? But gradually and with each battle won the Left moved on. It has always been about controlling what people can say and what they can do. Human nature is flawed for it is naturally competitive. People require to be rewarded. They want to be successful rather than equal. The Left’s battle always was with human nature, but it is possible to win this battle very gradually with simply making people feel guilty about ordinary words that they use. If you can change the way people talk you can change the way they think and you can do it without them even realising. I remember reading about an academic in Yale who said that she believed in free speech and that therefore everyone should be allowed to wear whatever Halloween costume they pleased. Someone wore a costume that someone else objected too. I don’t remember what sort, perhaps someone dressed up as a Mexican while he was not from Mexico. The whole thing escalated and the poor academic lost her job. It began to be less harmless. Now we have students demanding that they be given trigger warnings about something that might be upsetting in a lecture. I imagine at some point an academic will lose their job because they didn’t warn the class that a discussion about Jesus involves a crucifixion. Some students have been demanding safe spaces. What this means is that ideas they disagree with cannot be spoken. Somehow it is unsafe for them to hear any but their own ideas. Even clapping is deemed to be oppressive and approval must be shown by something called “jazz hands”. I’m sorry, but I don’t even know what that means. I obviously require re-education. Whole areas of life have been regulated by the Left. Ideas that would have been considered ludicrous in 1960 are now obligatory. If I had said in 1960 that a man could marry a man it would have been assumed that I simply didn’t understand the word “marry”. Likewise, if I said that a man could become a woman simply by choosing to become one, this too would have been met with incredulity. These and other ideas that were contrary to the common sense of our grandparents have been proscribed. I hardly dare write what I have just written. I have transgressed, mea culpa, mea maxima culpa. Will the common sense of 2016 be forbidden in twenty or thirty years’ time? You can get people to agree to almost anything if the alternative is that they will be called prejudiced. It’s quite a powerful way to control thought. It’s far easier to keep your mouth shut than risk being called some sort of bigot. It’s a wonder George Orwell didn’t come up with it. It’s much more effective that “Room 101”. There is an unforgivable sin in Britain. I can break most of the commandments with impunity. I can commit adultery. I can take the Lord’s name in vain. I can swear and use the foulest language imaginable. But until recently if I questioned the wisdom of unrestricted immigration I was a racist. The debate was simply shut down. This has led to the dullest universities imaginable. I find almost nothing worth reading that has been published recently. It’s all just following the crowd and finding ways to signal that I too am virtuous. It amounts to chimpanzees grooming each other in a spirit of solidarity, sharing each other’s ticks. It’s all so convoluted. Everyone uses long words that simply hide the emptiness of their sophistry. Romeo and Juliet were really gay, but Romeo was oppressing her because that is what all men do to all women. That’s why the story ended up as it did. But both of them were oppressing Tybalt because he in fact was black and from a colony that wouldn’t become a colony for another four hundred years. With a little effort I could turn this into a very trendy paper. But why would I want to? It’s would be dull, pointless and lacking in intellect. I came to dread where we would go next. What would be the next fad? I couldn’t imagine trigger warnings five years ago. It seems so unlikely, so silly. How could anyone be taken in by such nonsense? But where American leads we follow. But not now. In Scotland everyone still toes the party line. The newspapers and the televisions programmes all still have the same Leftish tinge. Everyone is horrified by our new Scottish President. There are things I dislike about Donald Trump. Above all else I dislike his protectionism. This is a way to make people in the Mid-West still poorer. I couldn’t care less that he had a private conversation with someone more than ten years ago where he made some vulgar remarks. I too in private conversations have said stupid things. I imagine you have too. Men boast to other men about their sexual conquests. Men find women’s bodies attractive. Sorry folks this is basic evolution. But what got the whole of Scotland all hot and bothered was what Donald Trump said about immigration. “You can’t say that” they all said. He did. In my view a country has a right to defend its borders. I don’t think building a wall is the best way to do this, but any country has the right to prevent people entering illegally. It also has the right to deport those who are there illegally. Unless you think there should be no countries and no borders, in which case campaigning for Scottish independence is perverse, you believe the same. The only difference is whether you are honest about your beliefs or dishonest. The one thing that got Donald Trump into the most terrible trouble in Britain, however, the reason why he was condemned by all commentators is he committed the unforgivable sin. He was a racist. Why was he a racist? Because he wanted to temporarily prevent Muslims from coming to the United States. Imagine if Trump had not committed the unforgivable sin. Imagine if he had conformed to the demands of the Scottish media. Well my guess is we would now be hearing nothing else from the SNP than that the new president was half Scottish. But no, he is forever to be cast into outer darkness because of his sin. No one must dare associate with this heretic, nor give him shelter. If you do you too will be excommunicated. What is the worst thing you can do in Britain? It is to say or do anything that is deemed to be racist. I can say any swear word I like with impunity. These words are no longer taboo. The least hint of prejudice however is liable to lead to ostracism, losing your job and a Twitter storm. Everyone but everyone must show that they have not sinned and beware there is no escape for be “sure your sin will find you out.” When someone does sin they count themselves fortunate if they get off with a penance like the gymnast Louis Smith. 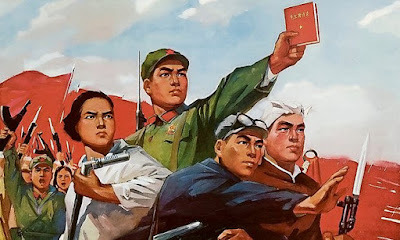 They must condemn themselves or forever remain condemned. Trump’s sin though was that he did not apologise. He meant what he said. He didn’t think it was a sin to voice his opinion. This was the worst of it. It is for this reason that there was a special debate in Parliament where everyone got to show everyone else how virtuous they were and how awful Trump was. 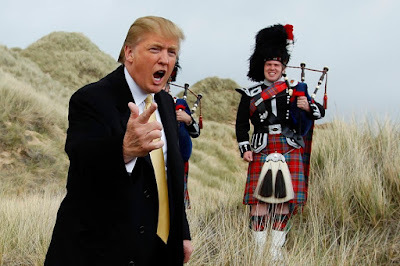 It was his lack of penitence above all that meant Trump lost his coveted title of “Business Ambassador for Scotland”. No doubt Trump misspoke. It is his nature to exaggerate. Much of what he says is unrealistic, impossible to enforce. Was he going to prevent the leader of Iran coming to the United Nations? What about a Muslim from Britain called Smith? How was Mr Trump going to prevent such a person visiting the United States? Are you or have you ever been a Muslim? So we can all slap each other on the back. Not only was Mr Trump a bigot he was also stupid. He was a joke candidate, can you imagine someone wanting to control illegal immigration, or protect his country from terrorism, how hilarious. How sinful. But do you know what? It wasn’t because of his virtues that Trump won the presidency. He has no virtues. It was because of his sins. Voters around the world have been looking at leaders with virtues and especially those who want to signal to everyone else that they have virtues and they are no longer finding such leaders to be virtuous. Being virtuous apparently means having open borders and allowing anyone who pleases to come. This is virtuous even if it makes your country more crowded and more dangerous. No-one dares say anything against this open border policy, for this would be to commit the unforgivable sin. But one person dared. They threw everything they had at him for that reason. But it wasn’t enough. The spell had been broken. The Left is very good at insulting those with whom it disagrees. We are post-truth voters apparently. But post-truth just means that you disagree with us. We had our arguments and they were convincing to us. But keep on insulting, no-one is listening anymore and your insults make us more determined than ever to continue on the path we have chosen. The whole of the establishment was up against us last spring and early summer. Every major British Party campaigned for Remain, so did Obama, the BBC, most newspapers, Mark Carney, Christine Lagarde and the EU. They all threatened us and they called us names. We were racists who were sinning against the rules of the establishment. But there is privacy in the ballot box and anyway we had reached a point where we were not scared anymore of your political correctness. Call us what you want, we don’t care. Finally ordinary people were saying what they hadn’t quite dared to say for years. It is common sense to worry about the threats that our country faces. We ought to be careful that we don’t allow anyone into our country who threatens our security. We have a right to live safely. We have a right not be constantly threatened. We have duties to other people, but fulfilling these duties ought not to undermine our own safety. The genie is out of the bottle. The Left’s threats no longer work. We may not admit it to colleagues, nor tell pollsters, but we will vote for Brexit if it makes our lives safer and better even if you call us racists. Trump of course said the stupidest thing imaginable about Brexit. When he was asked about it he said “They got their country back”. Can you imagine the stupidity of a man who thinks he can sum up such a complex matter in one sentence when it requires months and months of squealing Guardian articles to describe the full horror of Britain voting to leave the EU? There is a majority who want to limit immigration, who especially are concerned about immigration from dangerous places. The Left will call us racists. But has it sunk in yet? No-one cares any more what you call us. The whole totalitarian edifice of political correctness depended on everyone being scared. So long as we were scared to say what we thought you could control us. You could tell us what was correct and what was incorrect and we would go along with you for we were scared of what you would call us. But not anymore. We are just ordinary people with ordinary concerns about our country. We are going to say what we think from now on, even if the Left doesn’t like it. The Left lost the economic battle when the Berlin Wall came down, but they are losing the cultural battle now. We may still keep our opinions to ourselves, we may even pretend to agree with you, but you will never be sure of another opinion poll, because we are thinking for ourselves for a change and when we vote we vote privately. I’m not anti-anyone, I treat each individual as an individual, but I will tell the truth as I see it and will not be limited by ideas of political correctness. Feel free to call names. It's been a wonderfully effective strategy these past months hasn't it? You used to have such power. A word from you and we would cower and then you could give us absolution. But those days are gone. You lost. Did you realise that yet? Many Scottish nationalists are impatient and permanently angry. The hundreds of thousands who joined the SNP after losing the referendum in 2014 are both a blessing and a curse. Of course, they are better than the alternative. Remember when there was the idea that the SNP would somehow fade away after losing the referendum. This didn’t happen for a reason. It wasn’t because of any sort of betrayal. It also wasn’t because of what David Cameron said after Scotland voted No. 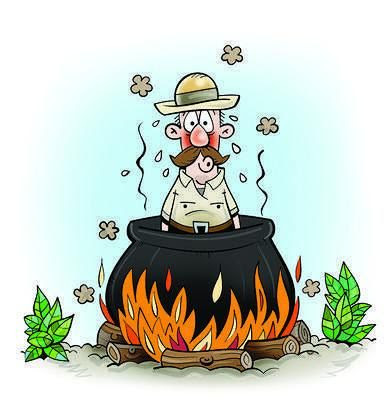 The reason for the surge in SNP support was because the nationalist genie had been let out of the bottle in Scotland. Ordinary Scottish patriotism that has always existed was turned into the desire for independence by the campaign. This is the strength of the SNP’s argument. For all of my life most Scots were perfectly content to express our Scottish patriotism within the context of being a part of the UK. No-one much thought there was anything odd about this. We might cheer on Scotland at rugby or football. We might sing Scottish songs or recite Scottish verse. It wasn’t political. Now it is political. The Scottish independence campaign gave those Scots who came to support independence a taste for something quite different. Now their patriotism was not merely about cheering Scotland from the terraces though it still included that, now it was something much more substantial. They say that once someone has discovered the delights of ἀνθρωποϕαγία [anthropophagia] everything else tastes bland. Well so too with patriotism. Why settle for Scottish country dancing when you have tasted the forbidden fruit of nationalism. This is why nationalism is the most powerful card that can be played in politics. If I am patriotic about Scotland and I have glimpsed just over the horizon the promised land of independence, why wouldn’t I desire it with all my heart? Why would I settle for anything less? Any other food will have lost its savour for me. But this is where the SNP have a problem. Their supporters especially those with the zeal of the convert continually require red meat to be thrown to them. They have eaten it. They came so close they could taste victory. It was theirs. It was within their grasp, just one more heave and they were there. But what if they were not destined to see the promised land? What if it wouldn’t be for another ten years, another twenty? What if it wouldn’t be for ever? There is an inherent impatience in Scottish nationalism. We came so close. In fact it really wasn’t that close, but we can allow them their little self-deceptions. They can’t bear the idea that they might have to wait even another five years, let alone a generation. This is not because they are so desperately concerned to start beginning the fairer, gentler Scotland that they all pretend to dream about. Scottish nationalism has little indeed to do with creating any sort of Scotland other than a Scotland that is independent. 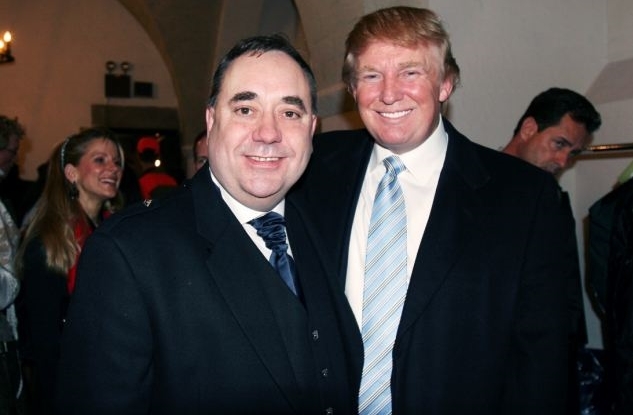 If I said to Nicola Sturgeon that she could have her independent Scotland, but it would be ruled by Donald Trump's son for the next fifty years, she would grab it in a second. It has nothing whatsoever to do with Scotland voting one way and England voting another way. Scottish nationalists would want independence even if we always voted the same way. All of this is just a ruse. It is a way of getting the people to taste of the red meat. There are many ways of getting them to come to the communion. They must be promised free bread. This can be transformed into the forbidden flesh. They must be given free wine, brewed to a stupendous strength by monks and so already consecrated. They must be given free prescriptions, free eye tests and free tuition. All of this is so that they can taste the promised delights of Scottish independence. Just one taste and they will be licking their lips forever. But what of the rest of us? What of those who are immune to the SNP’s charms? We are still here. We won last time around. Who is to say that we wouldn’t win again? This is the SNP’s problem. It is also the reason why there are two types of Scottish nationalist. There are the old and the patient and there are the new and the impatient. Most of the SNP leadership have been true believers from the cradle. In the 1980s Nicola Sturgeon joined the SNP when they had hardly any seats. This is someone who hasn’t really changed her mind about anything substantive since she was sixteen. This is the equivalent of Jeremy Corbyn in a skirt. Scottish nationalism for her is what socialism is for him. It’s their everything. Sturgeon needs no red meat dripping with juices for she was weaned on it. But how to keep the new believers content? What do these new SNP members want? Above all else they want to change the morning of September 19th 2014. They can’t get out of their memory the anticipation, the waiting for the result. It was so close they could almost already celebrate. They can still taste it, indeed they can't get the taste out of their mouths, but for this reason they can never be satisfied. They are left only with the thin gruel of daily life and a disappointment that will never quite go away. The only thing that will even begin to satisfy their cravings is the promise of another referendum. But what if they should lose? Who would win such a vote? I have no idea. It seems to me that the SNP could win by twenty points or alternatively lose by twenty points. Polls have become meaningless and political argument is left looking for a role. I cannot persuade nationalists and so I don’t even try to so anymore. They cannot persuade people like me. A second independence referendum might offer a taste of the forbidden flesh to a new generation. 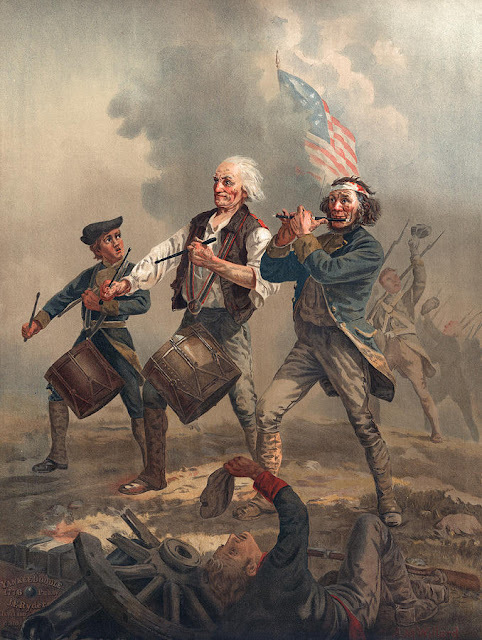 Nationalism is indeed a powerful argument, because it is not an argument at all. It is simply a feeling. Whip it up enough and it will win, because with ease it will defeat any argument you care to put up against it. It is for this reason above all that I would prefer not to go up against it. I might end up in a pot like a missionary. The SNP lack an argument. The economics is against them. Brexit has made the case for Scottish independence much harder to make, but the SNP know that they don’t really need an argument. They just need a leader and an adoring crowd. The crowd doesn’t really care what the leader says or if it makes sense. Just let her promise them the promised land and that they will soon be living in it. The manna will come from heaven, the benefits will always continue and no one will ever lose their job or indeed have to work. It's only the Tories that have kept us from this heaven. It’s an interesting dilemma. How long can you keep a crowd whipped up to a frenzy. If the crowd is disappointed for too long, if it begins to lose heart because the journey becomes tiresome, then some may begin to walk away. So Sturgeon has to keep threatening a referendum, but at the same time for the moment she clearly wants to keep Scotland in the UK. It’s a balancing act. She walks along the tightrope between wanting to leave and wanting to stay. But a tightrope walker with a contradiction at the heart of their strategy is always liable to wobble and when you wobble you tend to fall off. Now she is arguing that the condition for not having an immediate referendum on Scottish independence is that Scotland should have its own passport and a different EU status to England. But if these things were given to her what would be the result? Scotland in some odd sense would still be part of the UK. She would still expect the UK Treasury to continue to fund Scotland. She would still demand that Scotland had seats at Westminster. But which sort of countries have passports? Which sort of countries get to make their own separate deals with the EU? They are independent countries. So what Nicola Sturgeon wants is that Scotland should be both independent and not independent. This is classic SNP gradualism. The wiser thinkers see that asking for ever more ways in which Scotland can be different from the other parts of the UK, while retaining the benefits of being in the UK means that they make progress towards their goal while taking next to no risks. The have patience. They have fought all their lives for Scottish independence. A few more years won’t matter much either way. Luckily for the SNP their opponents are weak. Pro UK politicians are always desperate to make just one more concession to the SNP, because obviously it would then give up it's dream of independence. The folly is that we never ask for anything in return. Why did David Cameron not insist that the condition for holding a referendum on independence was that the SNP would promise not to ask for another one for fifty years? Why did Labour not make it a condition for their being a Scottish Parliament in the first place that it would be written into its constitution that it would not seek to break up the UK? This is perfectly normal in other countries. 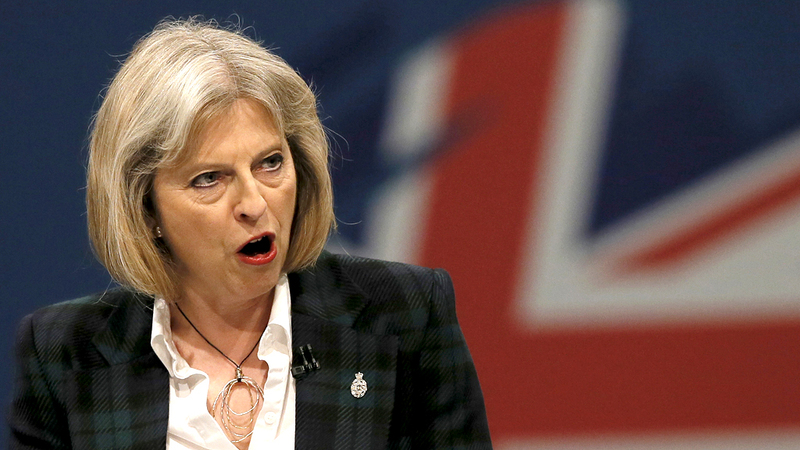 If it should require a written constitution to make the UK secure, then let us write one. What did we gain by making concessions to the SNP after they lost the referendum in 2014? We gave the Scottish Parliament huge new powers, but got nothing in return. You really begin to wonder about the quality of the supposedly Pro UK people who were doing the negotiating. What did they ask for from the SNP? What did they get? Nothing whatsoever. It's an odd form of negotiation that gets nothing. So let’s be clear. No further concessions must be made whatsoever to the SNP without a promise from the SNP that they will give up, at least for the foreseeable future, their goal of independence. 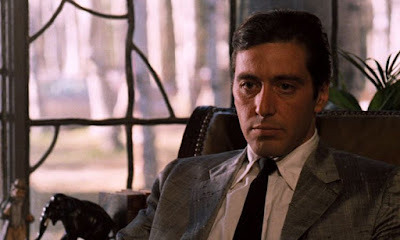 If that is not acceptable we should give them nothing just like Michael Corleone. "My offer is this, nothing" is not a difficult line to learn. It's the key to dealing with the SNP. A Scottish passport would indeed be real red meet for the new SNP supporters. They would no longer be British citizens, they would be Scottish citizens. Hurrah. But how does Nicola Sturgeon think it is possible to share a nation state if you don’t share a citizenship? Once Scots cease to be British citizens, why should British people subsidise them? In the end she is asking for the impossible. She wants both to stay in the UK and to leave. She must know this. She won’t get her separate passport. Only independent countries have passports. She likewise won’t get her separate EU status. This too would amount almost to independence. What her argument amounts to then is give us independence or we will demand an independence referendum. Sorry Nicola. This isn't much of an offer. Under those circumstances we find we can offer you nothing. Brexit is only going to work if it applies to the whole of the UK. The point of bringing back power from Brussels is that the UK Parliament and its electorate will no longer be constrained by EU rules and regulations. But how would that work if an integral part of the UK was still subject to these rules. If England was not in the Single Market while Scotland remained a part there would be different trade rules affecting England and Scotland. Would we have to charge each other tariffs? If the UK Government negotiated a trade deal with the United States it could not apply to Scotland. How on earth would that work? Fundamentally the Scottish Parliament does not have control over foreign affairs. Sturgeon is agitating for powers that she knows cannot be given her, for they amount to granting her Scottish independence without a vote. So what game is Nicola Sturgeon playing? She’s playing the long game and she’s playing for a grievance. She wants at present for Scotland to remain in the UK. The reason for this is that even if she could persuade Scots to vote for independence she knows they would blame her when their living standards fell dramatically. If she really wanted an independence referendum at this moment why doesn't she simply ask for one? Why instead does she come up with weird and wonderful convoluted ways in which Scotland can stay in the UK? What she in fact wants is for Scotland to stay in the UK in such a way that Scots feel angry about it. This stores up the grievance she will use when she is good and ready. Her problem is this though. The grievance she has chosen is something about which most of us are not that bothered. I would not have minded that much if we had voted to remain in the EU. There would indeed have been certain advantages. But conversely most people in Scotland are not that bothered by us leaving the EU. We debated the pros and cons, but now we will have to await how it all works out. For most people it’s a matter of practicalities. How will my job be affected? Will my standard of living rise or fall? What will happen when I go on holiday. Long term I think Brexit will benefit the UK. I could be wrong. But oh well whatever, it’s not an existential question for me nor you. Almost no-one has tasted of the EU forbidden flesh. There are a few EU fanatics, but almost no-one thinks about the EU as Scottish nationalists think about Scotland. But then Nicola Sturgeon is trying to manufacture a grievance about something her own supporters don’t really care about. Even SNP MPs and MSPs were tempted to vote for Brexit, for the simple reason that the EU fundamentally contradicts the essence of the idea of Scottish independence. The SNP only ever wanted to be in the EU for pragmatic reasons, but most of the arguments they use for leaving the UK could equally easily be used for leaving the EU. It is for this reason that so many Scottish nationalists voted for Brexit. There was initial anger when the UK as a whole voted for Brexit, but Scotland didn’t. This anger quickly subsided. Nicola Sturgeon’s problem then is that she needs to manufacture a grievance about something most Scots are indifferent about. Theresa May can legitimately tell Sturgeon to wait until Brexit has been completed. The UK Government needs to make no concessions to Scottish nationalism, because the SNP depends on Theresa May’s permission and this can be withheld legitimately pretty much indefinitely. Sturgeon could try to whip up the mob, but Scotland is not going to go to the barricades because of the EU. Theresa May is much brighter than Nicola Sturgeon, this is obvious just from listening to them for a few minutes. It's the difference between Oxford and Glasgow. May will be careful not to give Sturgeon a reason for complaint. She will consult her. She will be polite to her. She will then tell her that what she wants is inconsistent with Scotland being in the UK. She will finally remind Sturgeon that we voted to stay in the UK a little over two years ago and that the matter is settled. Sturgeon thinks she is being clever, but this is not the usual word to describe a strategy that is full of contradictions. In the end Scotland can only have a different EU status to England by leaving the UK. You cannot both be part of the UK and not part of it. Given that Sturgeon is asking for the impossible it will always be legitimate for Theresa May to offer her nothing in return. 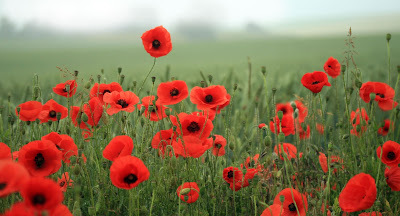 This week we remember in particular the dead from the two World Wars. It is right and proper that we should do so. We must always remember that they died for Britain. If we do not remember what they fought for how can we really remember them. If we know nothing of the conflicts in which they fought how also can we remember? Where then would be the substance of our memory? 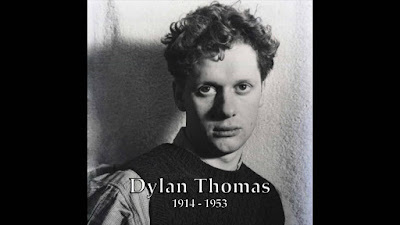 We would not really then be remembering them, but rather indulging in something that was merely about us. Please wear a poppy with pride, but it would be better to read a book about the First World War than to wear a poppy commemorating a conflict you know nothing about except clichés. I remember, but I refuse to mourn. Every soldier who took part in the First World War would be dead now anyway. What have they lost? They lost some years of life. But are those years of real consequence? Does it really matter if a soldier died when he was twenty or survived and lived to be ninety? The result is the same. I have followed the anniversaries of the First World War in real time. In 2014 I went through the July Crisis. In September I reflected on the Marne and how the Germans just might have won if they had gone for it. In 2015 I paused at Neuve Chapelle and then again at Loos. 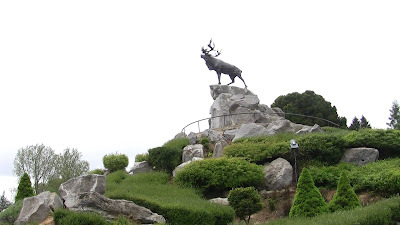 This year I spent time thinking about Verdun and on July 1st I found myself crying because of the Newfoundland Regiment and how there were no more young men left in Newfoundland after that day. But still I refuse to mourn. There is a difference between how those young men died and how most of us die today. There is a difference between the morality of today and that morality that nearly every soldier took for granted one hundred years ago. The way they fought and the sacrifice they made depended on what they believed. But most of us no longer believe. Faith in Britain has collapsed and has been replaced with a new religion. We worship in surgeries and in hospitals and our gods are called doctors. What matters to us is longevity. If only I can put off death for as long as possible. I will do exercises. I will have check-ups. I will not smoke nor will I drink to excess. By giving up everything I may live to be one hundred. But for what? For pleasure? Simply for the years stretching ahead? Just to avoid the alternative? In 1950 medicine was not so accomplished. I may have smoked and drunk, I may have eat pretty much what I wanted. With luck I would have lived to be seventy. On average I could have expected those years. But lots of people still lived to be eighty or ninety, some even more. So with all our advances in medicine since 1950, what really have I gained? A few more years. Those years I may spend alone, or in a nursing home or having lost my mind to Alzheimer’s. Our new religion gives us longevity. The high priests tell us what to give up and what to do, so that we can dribble while not even being aware of who we are. This is a religion without a purpose and without a point. No-one wants to die. The soldiers of the Great War did not want to die, but they were willing to make their sacrifice because in the end there was no loss. Now when someone loses their life they lose everything. Clint Eastwood puts it well “It's a hell of a thing, ain't it, killin' a man. You take everything he's got... and everything he's ever gonna have...” No wonder then that we treat death with such hysteria, while during the First World War our country took huge numbers of casualties in their stride, with grief that lasted a lifetime, but with dignity and with peace and with quiet. But a wife in 1916 on hearing that her husband had been killed regretted the years they would have spent together and the children they may have had. Still, although she would regret that she could no longer see her husband, no longer meet and no longer touch him, she would not have thought that he had ceased to exist. This is why I too refuse to mourn. There is a sure and certain hope. It may be a belief despite all of the evidence. It may be contrary to reason, but without it all I can ever do is mourn and above all else I refuse to mourn. I think it is for this reason also that First World War soldiers could mock death. Oh! Death, where is thy sting-a-ling-a-ling? Which soldiers of today could sing such a song? They wouldn’t even get the reference. The horror of the First World War is not death. “Death comes equally to us all, and makes us all equal when it comes.” It doesn’t matter in itself whether life is long or short. It is all chance anyway. Each of us could have caught a disease in childhood. Each of us could have had some accident or other. If one hundred years of life is without meaning it won’t gain meaning because it is long. Longevity in itself is of no consequence. It is for this reason above all that fussy attempts to make us live more healthily are so without purpose. The SNP first made it impossible for us to smoke. They next will make it impossible for us to drink and after that they will make it impossible for us to eat sugar or fry food in fat. What is achieved by this? What purpose does it have? Why do you want more Scots to live to be one hundred? So they can fill up still more old folks homes? Because you will conquer death that way and take away it’s sting-a-ling-a-ling? Socrates when he was about to drink some hemlock was asked about what he wanted done with his body. He replied that you can do what you want with it, even put it on the rubbish heap. Why was he so unconcerned about the fate of his body? The reason he answered is that it won’t be me. The bodies that we buried on the Western Front are not the people who died. You may think all that you are is a collection of atoms and molecules subject to decay and disease and death, but what dies is not you. Everything in your life tells you that you are distinct from matter. Every choice you make is free. You do not feel as if you are subject to the laws of physics and that determinism determines what you think and what you feel and what you do. You are not a thing. I therefore refuse to mourn your death or the death of anyone. What I regret is only that I can no longer see you, touch you, talk to you. But then I am really regretting something about myself not you. Death on the scale of the First of Second World War fills us with horror. We should remember the lives cut short. But there is the same tragedy in the death of just one of London’s daughters. And still I refuse to mourn. I remember. I grieve. I miss. But I don’t mourn. For there is the sure and certain hope that almost all of those we remember felt before they died. There is no sting, because there is no death. This is why I will never mourn. This refusal to mourn saves the whole world entire and means that there never was any loss and never will be. 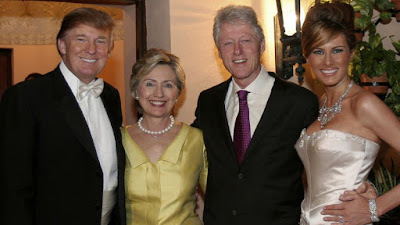 I find the coverage of United States politics in Britain very strange. Why are we all so interested? Most Americans are fairly clueless about the details of British politics. They might know who the Prime Minister is, but beyond that it all gets rather hazy. Then again I remember meeting Californians who weren’t quite sure where Vermont was. I don’t point this out as any sort of criticism. I can’t name more than one city in Slovenia and I doubt that I could spell it. Why so much news coverage about American elections? Again compare and contrast the coverage of elections anywhere else. If you asked the average Brit to name the leaders of European Union countries how many do you think they could manage? If you can get more than five, you’re a better man than I am Gunga Din. But I can easily name all the US Presidents since World War Two and quite a few before it. Of course there is a reason for this. The United States has far more influence over our history in recent times than any other country. We could defend our island in 1940 with the help of those few allies who could get here to help our defence, but we had no chance whatsoever of defeating Germany on our own. Without American involvement in World War Two who could have prevented Soviet forces from liberating not merely Warsaw and Berlin, but Paris and London too? It is for this reason that US foreign policy matters to us in a way that Luxembourg’s foreign policy doesn’t. The problem is that the USA and the West in general is losing its way in terms of foreign policy. In 1991 the world looked to have turned a corner. We could look forward to peace and prosperity. We could weep because there were no more worlds to conquer, no more battles to fight. How’s that end to history working out for you? Until the end of the Cold War we thought clearly about our objectives and thought strategically. What can we do to protect our interests, what can we do to make the world safer and less likely to blow up in our face. This was 19th century “Realpolitik”. It is a form of rational self-interest. What is in the UK’s interest? What maintains the balance of power? What heightens our influence, what diminishes it? What is risky, what is safe? Of course Realpolitik did not end well. Great power diplomacy ends up with 1914. But this is really a failure of prediction. No-one in 1914 guessed the consequences of their actions. But we don’t have this excuse. We don’t need to guess. We know. Strategically the West faces two major threats, Russia and Islamic fundamentalism. What do we have to oppose them? Technology and the desire to show how virtuous we are. Is the world a safer place after all these years of Mr Obama showing how nice and virtuous he is? He may have chosen hope over fear, but I am far more scared than when he started. How is Mr Obama’s peace-making with the Islamic world working out for you? But it is unfair to blame him. The fault lies with us. With all of us. The fundamental weakness of the West is that we are unwilling to fight wars in such a way that we can win. This makes our technology useless. The West keeps losing wars despite having the best armies and the best weapons, because our media is determined to prevent us doing what we need to do to win. Very low casualty levels in the context of history are presented as catastrophic. We parade each flag draped coffin through the streets just to discourage any of our soldiers from fighting. Moreover we tie both hands behind our back by punishing our soldiers if they make a mistake and focussing almost exclusively on whether our bombs have gone astray. Let’s be clear. This model of fighting wars loses. It is decadent and it is not serious. If we had fought the Second World War in this way we would have lost. Imagine the following scenario. Mr Putin decides that he no longer wants the Kaliningrad region to be an island. He masses his tanks in Smolensk and he drives through friendly Belarus to so as to reach Kaliningrad. The distance is quite small. He would in this way cut off the Baltic states of Latvia, Lithuania and Estonia. These countries are in NATO. In theory this means that the whole of NATO ought to attack Russia. 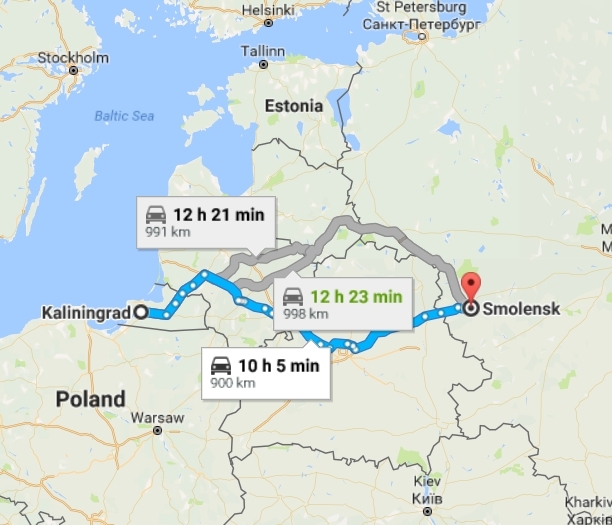 But Mr Putin would already have reached Kaliningrad by the time we started to complain. What would we do? We could try to defeat him by using conventional forces or nuclear forces. If we can’t even defeat the forces in Iraq and Afghanistan what do you suppose our chances would be of defeating Russia? How many deaths did it take for the USA to be driven out of Mogadishu? It took 18. How many would the USA be willing to lose to liberate Estonia? How many would we be willing to lose? We lack the means and the will to defeat Russia in such a scenario and so we are left only with nuclear attacks on Russia. Are you scared yet? This is where the politics of virtue has led us. Our armies have become unable to fight. We care more about the human rights of our enemies than our own right to defeat them and defend ourselves against them. People in the West do not understand Russia. Our universities closed most of the Russian departments after the Cold War, but the only way to understand Russia is speak Russian. We had the chance in 1991 to make Russia a partner. It should have been offered membership of NATO and the chance to join the EU. Instead we pushed and prodded and tried to extend the borders of NATO right up to Kiev and Tbilisi. This is dangerous. Above all now we need to make peace. Sanctions are useless against Russians. They are willing to eat grass. They have done so before, they can do so again. Sanctions don’t touch them. Treat Mr Putin as if he was called Brezhnev and ask for détente. If you get it be grateful and stop prodding. Meanwhile we are equally unclear in our strategic thinking about the Middle East. This again is one of the main reasons why we must make peace with Russia, because here we have a shared interest and a common enemy. Moreover, Russia has the means and the will to defeat Middle Eastern forces on the ground. Russia cares little about our complaints, because they can win, while we can only lose. They are willing to do what is necessary while we are not. That is why we lost in Iraq and Afghanistan, while Russia will win in Syria. Why should they listen to us? The key mistake the West has made in the past 30 years and more is to forget that what matters is our own strategic interest in the region. Does it really matter to you who rules in Iraq, Syria, Egypt or Libya? For those who favour the politics of virtue it matters very much indeed. As soon as the “Arab Spring” began we had various politicians praising those who were rebelling. The BBC was in raptures about how soon peace, love and democracy would come to the Arab world. How’s that working out for you folks? For the foreseeable future the only thing that contains Islamic fundamentalism is not giving the people of the region a choice. If you let them choose, they will choose Islamic fundamentalist parties that will then ban and persecute everyone else. If you doubt this, then you haven’t been watching the news for the past few years. The people who contained Islamic fundamentalism were called Saddam Hussein, Muammar Gaddafi and Bashar al-Assad. They may have been some of the worst dictators in history but it was in the long term strategic interest of the West that they remained in power. The reason we in the West take it upon ourselves to interfere is because we are obsessed with showing our virtue. Gaddafi was a nasty man so Mr Cameron was desperate to show that he was a nice man by helping to overthrow him. Later when Libya is taken over by Jihadis Mr Cameron doesn’t look like such a nice man. Islamic fundamentalism isn’t an aberration it is a feature. A recent survey in France showed that there are three main groups among the Muslim population. 46% are fully integrated into French society, 25% are Conservatives and 28% are authoritarians. What proportion of these people will sympathise with Jihad? How many will be pleased when Israelis are killed in acts of terrorism? How many will cheer if French armed forces are defeated in a war against a Muslim country? How many sympathise with ISIS or are tempted to go there to fight? We don’t know. But it isn’t a trivial percentage. France has suffered a great deal from terrorism in the last few years. It isn’t accidental that there are such terrorists in France, while there are none in Poland. This is our problem. If Germany lets in one million refugees from Syria, what proportion will integrate, what proportion will be Conservative, or Authoritarian? What proportion will be keen on Jihad? We don’t know. No-one knows. You can’t tell. Above all you can’t tell the difference. Here we have the virtue signalling again. Mrs Merkel is desperate to show how virtuous and kind she is. But her virtue and kindness is at the expense of the safety of her own country. A proportion of the people she is kind enough to allow into Germany and thereby the whole of the EU hate both Germany and Europe. If they are Conservative and Authoritarian they probably will disagree with many aspects of life in Germany. They would prefer it that German women dressed modestly. They might think that Muslims who convert to Christianity should be killed. They might prefer polygamy to monogamy. They might think homosexuality should be against the law. Many if not the vast majority will integrate successfully into German society. But out of the millions Germany allows to come to Europe a significant proportion won’t. Where is the upside for Germany? It is for this reason that virtue signalling is so dangerous. We must think of what is in the long term strategic interest of our own country. We have a duty to help other people, but not at the expense of making our own country more dangerous. We too have human rights and we have the right not to live in constant fear. We must treat each individual individually and without prejudice, but it is not prejudice to suggest that people who come from a country where there is a lot of Islamic fundamentalism are more likely to Islamic fundamentalists than those who come from, for example, Hungary. The world is becoming a more dangerous place. If we continue to prod Russia rather than make peace it will become more dangerous still. But above all we must defend Europe’s borders or else there will no longer be a Europe to defend. Imagine if Yes had won the Scottish independence referendum in 2014 by 52% to 48%. There would have been much celebrating and there would have been the expectation that soon Scotland would be independent. Imagine however if someone resident in Scotland, but born in England had been so horrified by the result that they brought a court case to the High Court in London. Imagine if the person bringing the court case was from Australia or indeed South America. How would this have gone down in Scotland? Suppose that the High Court said that the decision in fact lay with the UK Parliament, the majority of whom opposed Scottish independence. Imagine if this UK Parliament so watered down Scottish independence that the UK Parliament retained sovereignty over the whole of Great Britain. Imagine if the UK Parliament, despite the Yes vote in Scotland, ruled that the Scottish Parliament was to remain subordinate. What would you think about this? I oppose Scottish independence, but let us be absolutely clear, such an action on the part of the UK Parliament would be an absolute disgrace. It would mean that we no longer lived in a democracy. This is exactly what happened on Thursday November 3rd 2016, when the High Court in London ruled that the UK Parliament can in effect overturn the result of the EU referendum. They could, for instance, vote to prevent Article 50 being triggered. What is to stop them? Alternatively they could make “leaving” the EU in effect the same as remaining. If this remains the case, then any future referendum on Scottish independence would be utterly pointless. The UK Parliament could simply overrule it or water it down so as to be meaningless. The same indeed goes for any other referendum that may be called in the future. Why ask the people at all if you can simply overrule what they say? I am in favour of representative democracy as opposed to direct democracy. We could all have little buttons on our computers which enabled us to decide everything democratically each evening. But this is a recipe for poor government. But we must have direct democracy on two occasions. The first is when we have elections. The second is when we have referendums. We the people appoint MPs to rule in our place. They are our delegates because we hope they have the time and competence to take decisions for us. But in any democracy the source of power is the people. It is for this reason that Parliament governs with our consent. If this were not the case, we would live in a tyranny. During elections and during referendums we briefly have direct democracy. The people can choose who they will. No-one can stop us electing this candidate rather than that one. So too during a referendum our choice is free. We can pick either option. This choice is not mediated through our parliamentary representatives, in the same way that our choice of these MPs in the first place is not mediated. It is a direct choice. Imagine if the 650 MPs after an election decided that they were not going anywhere. What if they refused to recognise the result? After all being in Parliament is pleasant. Who wants to lose? Imagine if there were a court case that said that those MPs who had lost their seats could vote in Parliament to Remain. What would this mean? It would mean that we were no longer living in a democracy. The same is the case with a referendum. Parliament ceded authority briefly to the people to choose. This is the purpose of having a referendum. If Parliament refuses to accept the result, if it declares that it is merely advisory, then it is the same as if it were treating a General Election as merely advisory. When Parliament refuses to recognise the will of the people then the people have no legitimate means of changing the law. Under those circumstances the law lacks the consent of the people. 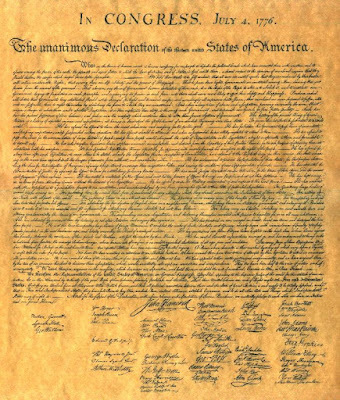 The people are then justified in following the principles set out in the United States Declaration of Independence. They can seek a new form of government and they can seek to achieve this by force if necessary. 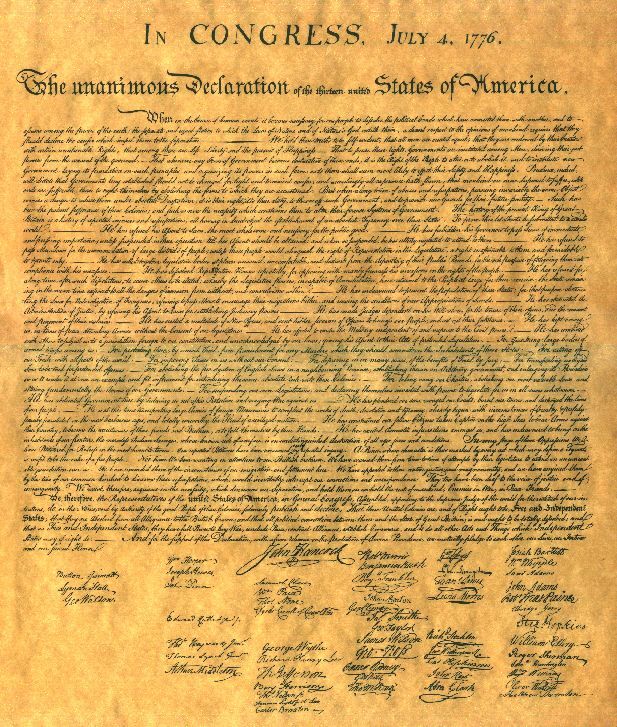 I am, of course, not suggesting this for the reasons set out in the Declaration. There must be patience and all other means must be exhausted. But ignoring the will of the people is a serious matter. Let none of us treat this matter lightly. Theresa May has done fairly well as a Prime Minister, but we are paying the price for a Conservative leader who was neither a Remainer nor a Leaver. She lacked conviction on the only issue of importance of our time. It is this above all that has led her to make a major error. She should have triggered Article 50 as soon as she became Prime Minister. Cameron could have done so. So could she. All we need to do is to tell the EU we are leaving. There is nothing to negotiate. "We are happy to trade freely with you, but if you don’t want to reciprocate, it’s your loss. Bye." What May should do now is prepare a debate at the nearest convenient opportunity. The debate should be on her right to trigger Article 50 whenever she pleases and in whatever way she wants. There should be no need to tell Parliament any more than that. There should be a three line whip on Tory MPs. Any Tory who votes against the Government should lose the Whip and face deselection by his or her local party. If Theresa May loses this vote she should treat it as a vote of no confidence in her Government and should go once more to the people in a General Election. Too many people whether in Scotland or other parts of the UK are unwilling to accept the result of democratic referendums. This has gone on long enough. It is dangerous. It is a threat to our democracy. If you are a democrat, it is time to metaphorically prepare to man the barricades whether you supported Leave or Remain. This is not about what democratic decision you made, but whether you have the right to make it at all. There is nothing I like less than the idea of Scottish independence, but if this idea were supported by a democratic majority in a legal referendum I would fight for the right of the majority be upheld. If Remain had won the EU referendum and was threatened by a Parliamentary coup to leave the EU, I would likewise fight to uphold the will of the people to Remain. This transcends political division. Either you believe in democracy or you don't.